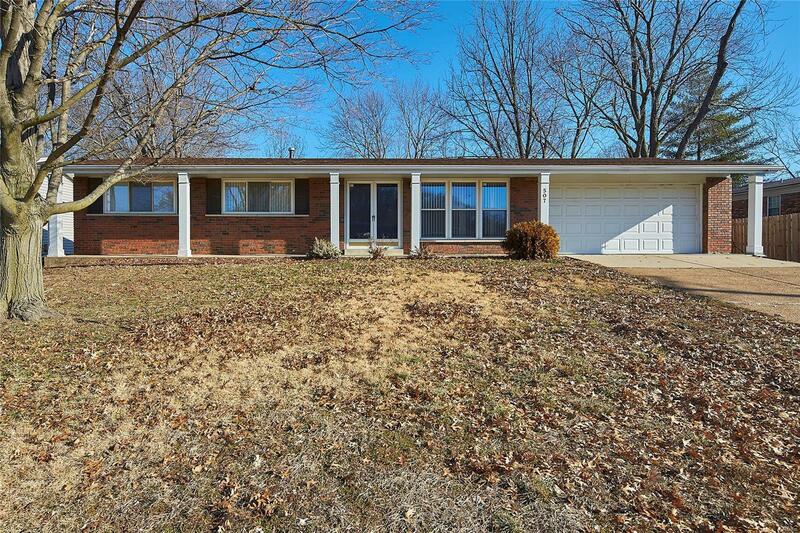 Beautiful 3 bedroom brick ranch in Fenton is sure to please! The home opens into a large sun-filled living room featuring gleaming hardwood floors. The spacious kitchen boasts plenty of counter and cabinet space, black and stainless steel appliances, easy care ceramic tile floors and an adjoining dining room, great for entertaining! The large master suite features plenty of closet space and a full bath. Each of the two additional bedrooms are comfortably sized with ample closet space. A full hall bath completes the main level. The dry lower level offers plenty of storage space and could be finished to add to the living space of this home. The large level backyard with covered patio is sure to be the highlight of outdoor entertaining! The covered front porch, two car garage and tasteful landscaping only adds to the curb appeal of this great home! A home warranty is being offered for your convenience and peace of mind. Close to highways, shopping, restaurants and so much more!